Following the Middle School faculty meeting, Dave Baad sent the following email to all current families and faculty and staff. I write today with terrific news. After a nationwide search that yielded strong candidates and academic leaders, I am pleased to announce Jonathan Chein as our Head of Middle School, effective July 1, 2019. 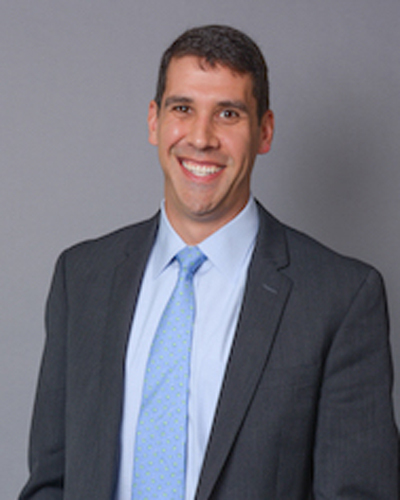 Jonathan brings with him a track record of success as the Head of Upper School (grades 5 - 8) at Whitby School in Greenwich, Connecticut for seven years. His work there has demonstrated enthusiasm and commitment to both the learning and emotional growth of students and the development of a first-rate faculty. Before Whitby, Jonathan taught middle school math and coached basketball and football closer to his boyhood home at the Breck School in Minneapolis. There he acquired a strong sense of what it means to teach in an Episcopal institution. These qualities make him the perfect choice to lead our Middle School. Jonathan and his family are excited to join the ESD community. He writes in his educational philosophy, "There are countless schools who say they focus on developing students who are ethical, responsible, and capable thinkers and tomorrow's leaders. It's far rarer to find a school who, aware of the tremendous degree of difficulty this requires, is actually committed to challenge itself to build and maintain the culture necessary to support this approach to education. A school where students are engaged and committed to meaningful learning, where they advocate for themselves and others, and where they feel empowered and compelled to take action requires a committed faculty, who as a part of the community of learners each possess those same feelings. Contributing to that leadership, in a community of learners who aspires to unlock the potential for profound meaning, value, and fulfillment for students, parents, and staff is exactly where I want to be." In addition to being Whitby's Head of Upper School (grades 5 - 8), Jonathan immersed himself in school life, also teaching math, science, or life skills throughout his tenure. Other responsibilities have included Dean of Students, Mathematics Curriculum Coordinator, Interim Head of Lower School, Community Service Coordinator, and coach for girls and boys basketball, baseball, and softball. He has provided leadership to all areas of middle school life, such as curriculum instruction and design, assessment, student support and discipline, parent education, faculty hiring, development, and support, and accreditation. Jonathan is an International Baccalaureate Middle Years Program Accreditation Site Visitor and Workshop Leader. He holds a Bachelor of Arts in Sociology and Anthropology from Carleton College and a Master of Educational Policy and Administration from the University of Minnesota. Beyond his leadership experience, of note during the interview process was Jonathan's levity. Apparently, his fruit pie and guacamole are infamous; he is the founder of WAWA (the Whitby Annual Waterslide Academy), which claims Fairfield County's biggest slip-n-slide, and co-founder of Breck School's Middle School Foolymic Games for students and faculty. Please join me in welcoming Jonathan, his wife Michelle, and his two children, William (rising third grade) and Maggie (rising sixth grade), to The Episcopal School of Dallas. They will visit at the end of this month. Please watch our newsletters for details about an opportunity for parents to meet Jonathan.